Rekindle the transcendental atmosphere of peace and love with this sixties retro soap! 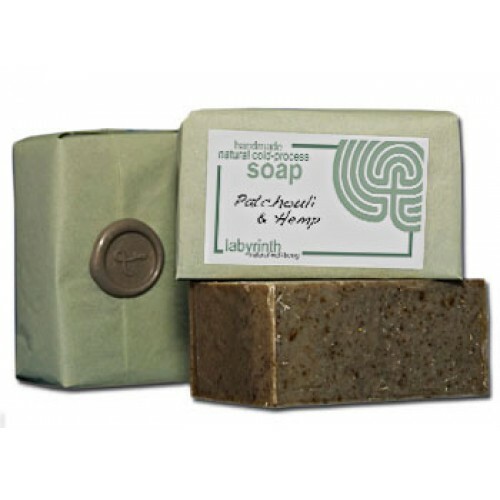 As well as its anti-bacterial properties, the soothing effect of Patchouli can act as an anti-depressant, providing relief from stress and nervous tension, while the healing action of Hemp is both nourishing and balancing and can help improve skin condition, aiding the treatment of acne. Olive Oil (Sodium olivate), Coconut Oil (Sodium cocoate), Regulated Palm Oil (Elaeis guineensis), Spring Water (Aqua), Hemp Seed (Cannabis sativa), Patchouli (Pogostemon cablin), Red Henna (Lawsonia inermis).